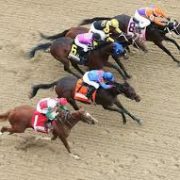 The Best 2 Days of Horse Racing is Here, The Breeders Cup Races are Not Only the BEST RACES of the Year, They Return Some of the Biggest Payoffs You Will See at Any Race Track. I Have Had Incredible Success in the Breeders Cup Races Over the Last 4 Years! In Fact Together We Have Cashed Out in 31 Breeder’s Cup Races Since 2013 with Some Amazing Returns! In 2013 We Hit a $7,420 Trifecta in the Juvenile Fillies & Returned to Hit an $11,309 Trifecta in the Same Race the Very Next Year! Last Year was Considered “Chalk Heavy” & We Still Managed to Cash Trifecta’s of $1,235 & $1,067. The Winning for 2017 Begins on Friday at 2:25 EST for the First Stakes Races of 20 Total Spread Over the Next 2 Days. I Will Supply Exact Betting Instructions on Every Race, I will Show you How to Win Big Money on Breeder’s Cup Day with Any Size Bankroll. This is the Day at the Track that You Can Make Life Changing Money, The Payoffs Will Be Huge & My Selections are LOADED with Value. I See So Many False Favorites that Will Take in Boat Loads of Money & be Lucky to Hit the Money! I Have Supplied 3 Buying Options for the 2 Day Fest! All Packages Come with Exact Betting Instructions & Never Lost Breeders Cup Classic. 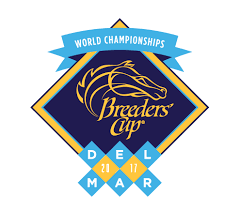 All 12 Breeders Cup Races on Friday(4) & Saturday(8)Including Never Lost Breeder’s Cup Classic!